Woohoo all this effort is paying off! 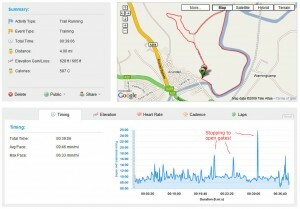 I went for my first run today wearing a Garmin Forerunner 405 and it’s awesome! 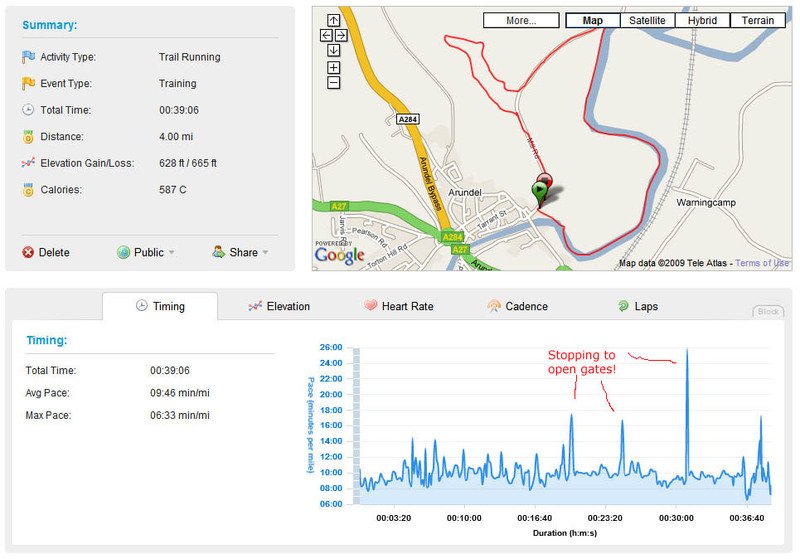 Of course apart from being cool it’s very useful, you can monitor your heart-rate as you run to make sure you run inside certain upper and lower limits and you can monitor your progress between runs and share them with other people. 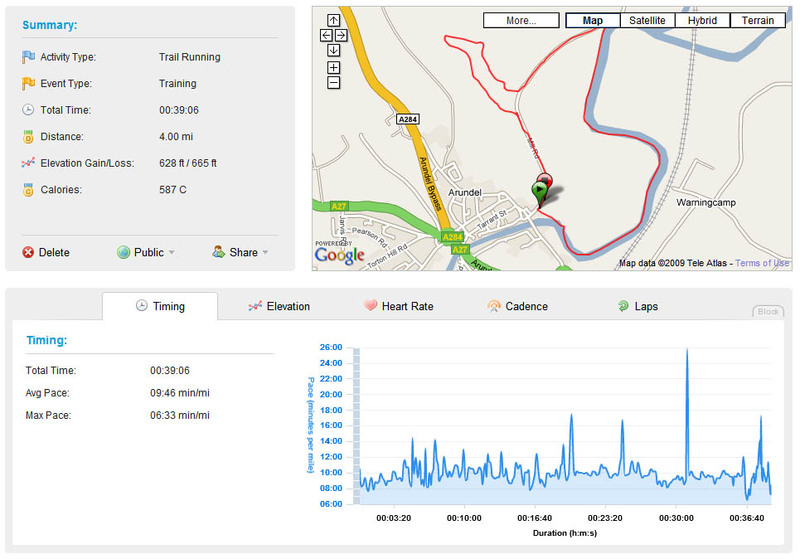 You can view the details of my first run along the river Arun and up a hill and around a like here. Don’t forget the “Player” button! By the way, all dogs must die. I had three dogs “wander in front of me” because they weren’t on leashes today and to rub salt in even more one woman held onto her dog and said “I’d better hold onto him, he chases runners!”. Mutter mutter! p.s. if anyone wants my previous Garmin heart monitor watch then let me know!